Finland is the world’s northernmost agricultural country. Finnish farmlands reach from the 60th latitude to north of the Arctic Circle. Although the growing season is short, Finland has good possibilities to produce tasty food with high food safety. Finland has ample fresh air and clean water. Our sparsely populated country has little traffic and thus also low volumes of emissions from traffic jams. The hard frosts control plant diseases and kill pests, and that is why our pesticide use is lower than in rest of Europe. In terms of land use grain production is the largest sector in Finland. Next comes production of other crops and grassland. The growing season in Finland is very short but intense. Oats are planted during May and harvested during August to September. The vast amount of light, the Finnish midnight sun, makes Finnish growing conditions truly exceptional. During mid-summer days, the sun shines for a stunning 19 hours in Southern Finland. During the growing season, Finland has the longest day on the planet. These gifted conditions of Finland, with the vast amounts of midsummer light, suitable soil and sufficient rain favor our northern oats greatly. Finnish winter is also a very extreme season. During the winter, the Finnish soil is frozen. This is one of the reasons why the Finnish soil is pure and our nature is so clean. The cold winter provides a tough environment for harmful pests. The hard frosts control plant diseases and kill pests, and that is why our pesticide use is lower than in rest of Europe. The unique and harsh Arctic environment provides the special qualities of Finnish oats. The uniqueness of Finnish oats rises from the Arctic environment and our four seasons. Finland is a real oat superpower, thanks to the special agro-climatic conditions that are just right for producing the highest quality oats. The growing conditions cannot be replicated elsewhere in the world. Eating Finnish, northern oats provides you with a wide range of health benefits. The European Food Safety Authority EFSA has approved four health claims for oats. Over the centuries Finns have specialized in growing oats and have learned how to utilize the health benefits of oats. The traditional Finnish healthy oat dishes have been porridge, bread, biscuits and rusks, which have contributed to the national health of Finns for years. 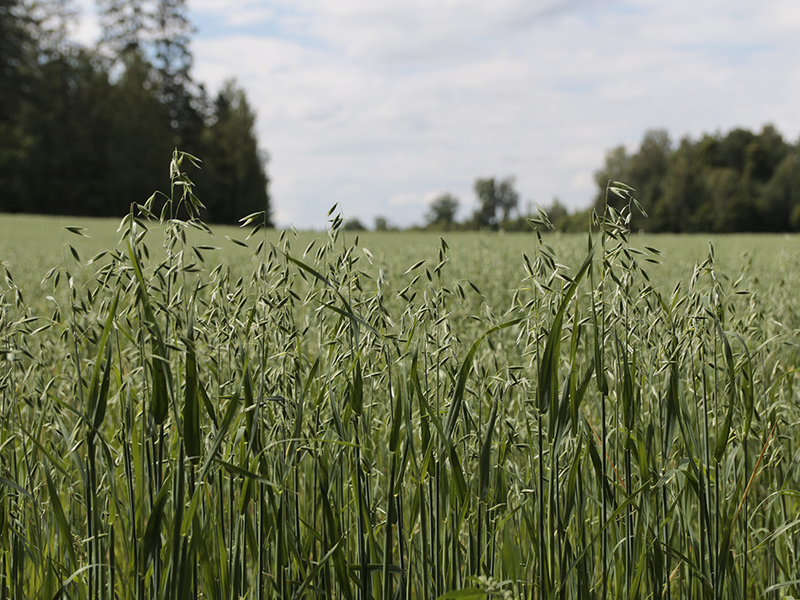 Thanks to the long history in using oats, Finnish oat research has also become world famous. Finnish experts have specialized in the health and nutritional effects of oats. The greatest achievements in the field of oats science have been beta glucan research and pure oats gluten free research and analytics. Finland has developed highly specific oat species which contain high levels of beta glucan fibre. There is also high expertise in the treatment of healthy nutrition and special diets, and, for example, weight management and diabetes, which is utilized in the development of most innovative oat products. The research enhances the international competitiveness and value of Finnish oats through the understanding of its various food uses, consumer requirements and grain quality research.